The Studio is located in Istropolis building complex of the New Town district of Bratislava. The majestic complex built between 1953 and 1981, and designed by architects Ferdinand Konček, Iľja Skoček, and Ľubomír Titl, is a true icon of Slovak modernist architecture. Initially, the interior of The Studio was in serious state of abandonment and deterioration, and it needed renewal. The strategy was to preserve as much of original elements as possible without compromising current spacial and functional needs of the new tenant. 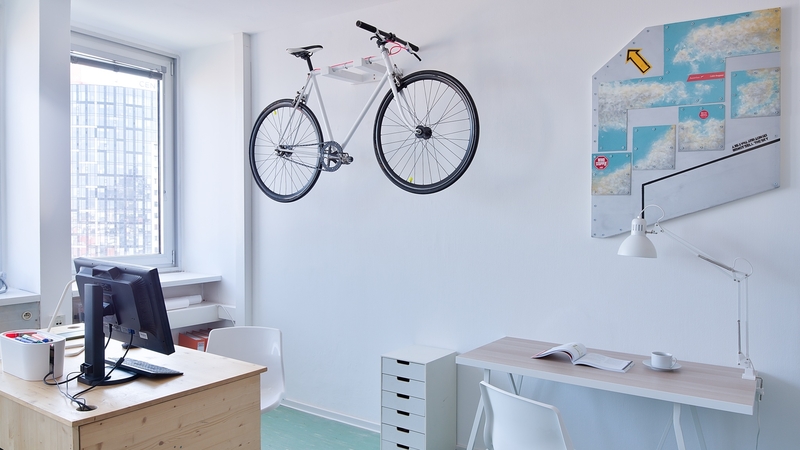 The result was a minimalist, multipurpose, and easily modifiable office and studio interior, with a touch of retro. Please let us know in case you want to discuss your project, ideas for collaboration, or any other interesting topic by introducing a brief description in the form. Looking forward to get in touch!